The Australian media gathered eagerly on a brisk morning in the nation’s capital, word had spread that the Prime Minister’s office had called a time and place to meet where an announcement was to be made. With the nation watching live, the Prime Minister, flanked by the Defence Minister and Chief of the Australian Defence Force, publicly announced that the Australian Defence Force, and in particular the Royal Australian Air Force (RAAF) had been tasked to join a coalition of nations to stem the tide in the war against terror. 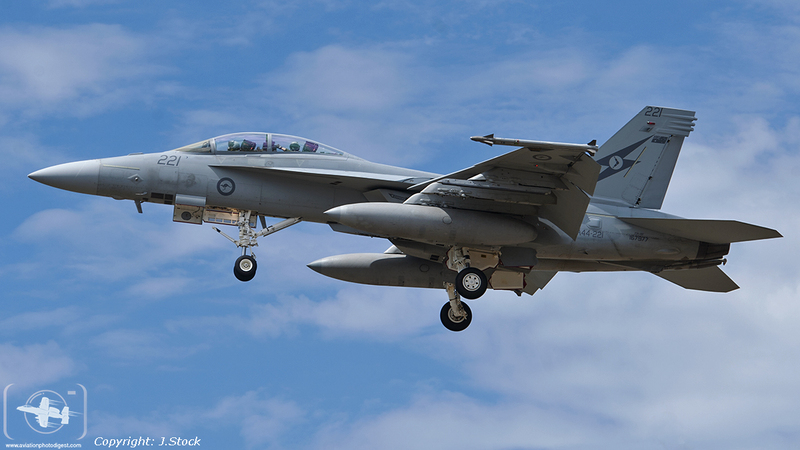 For the first time since 2003, the RAAF would send components of its Air Combat Group (ACG) to conduct flying combat missions, as well as being supported by other various components from the RAAF’s Air Mobility Group. 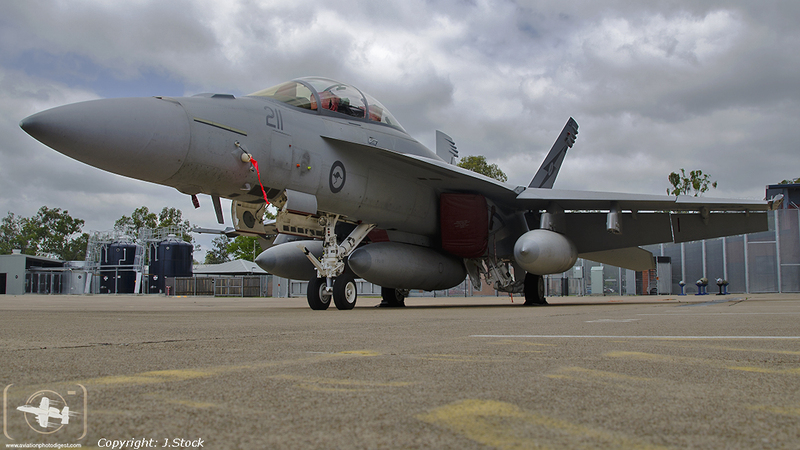 Over 1200 Kilometres to the north of Canberra at RAAF Base Amberley, the men and women of 82 Wing were already at full stride getting everything ready for a deployment to the Middle East Area of Operations (MEAO). 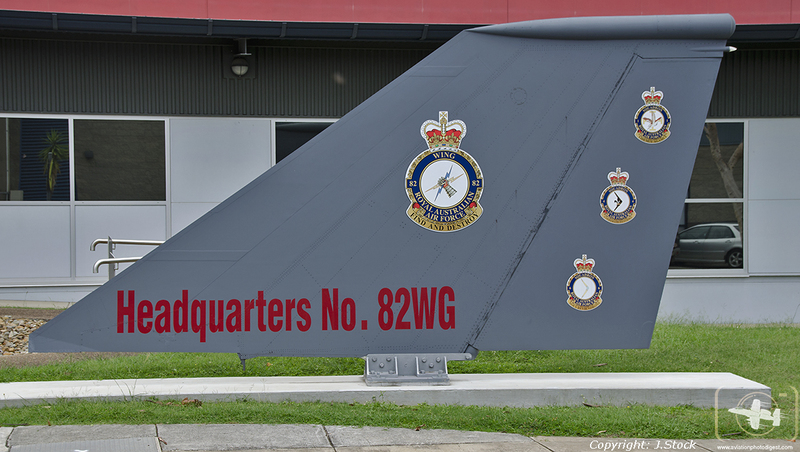 Situated at RAAF base Amberley as Air Combat Group (ACG) historically dedicated Strike element is 82 Wing. As components of 82 Wing, No. 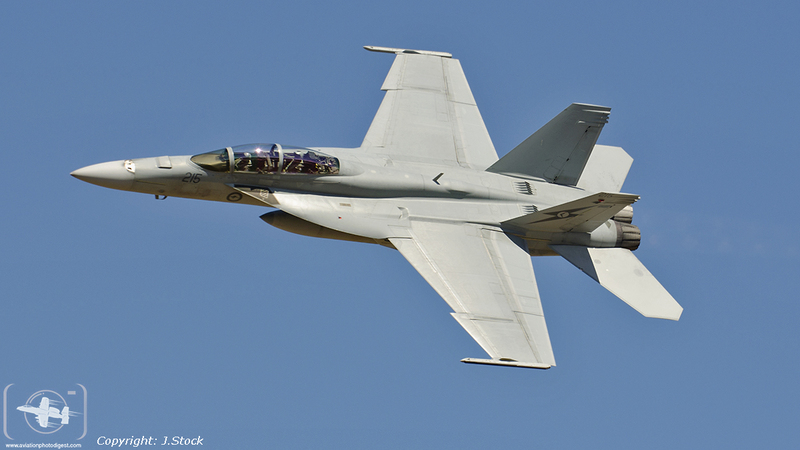 1 and 6 Squadrons operate 24 Boeing F/A-18F Super Hornets. 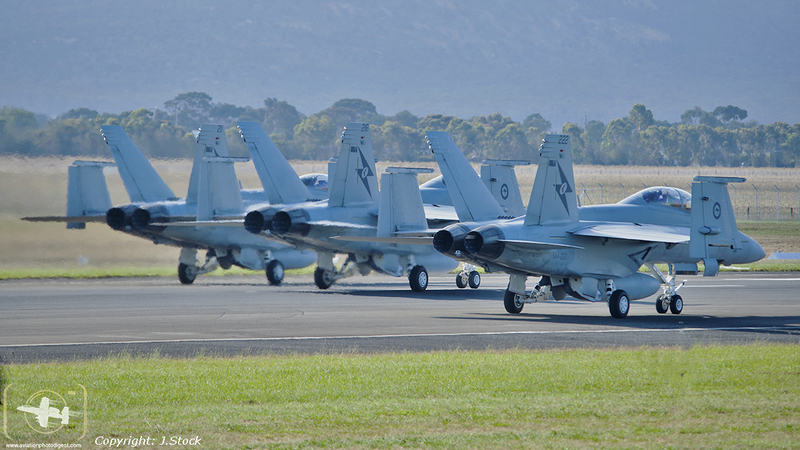 The Wing provides strategic level direction and oversight into tactical level planning and execution to enable Squadrons to achieve the Australian government’s desired overall objectives. 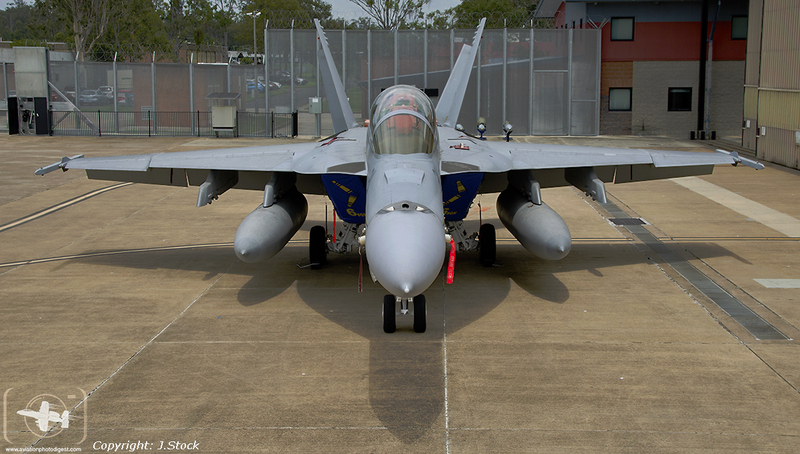 1SQN is the premier operational strike squadron operating the Super Hornet for the RAAF. 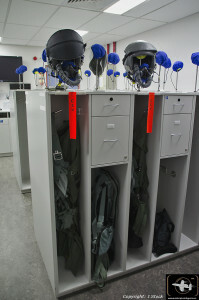 6SQN is the Operational Conversion Unit (OCU) used to qualify aircrew. Both Fighter Pilots and Weapon System Operators (WSO) converting from the British Aerospace Mk.127 Hawk, lead in trainers to the Rhino before going on to their operational tour at 1SQN. 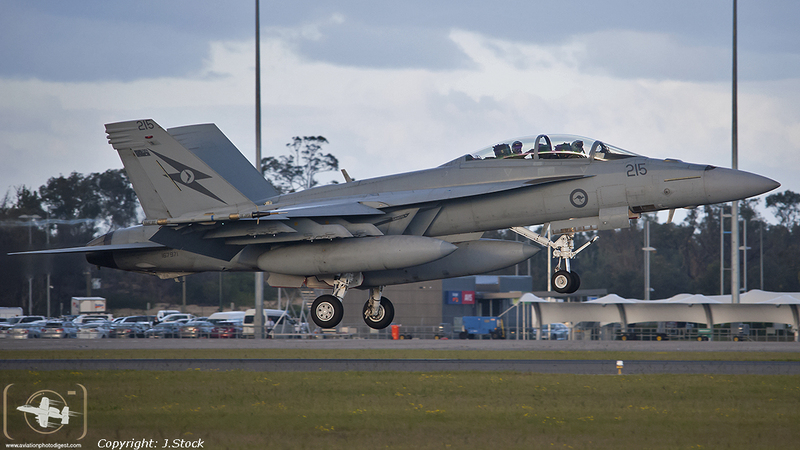 The Boeing F/A-18F was procured by the government as a stop gap measure to replace the much loved but clearly fatigued F-111C/G Aardvarks, or PIG’s, as RAAF crews call them because they liked to get their noses low in the mud. 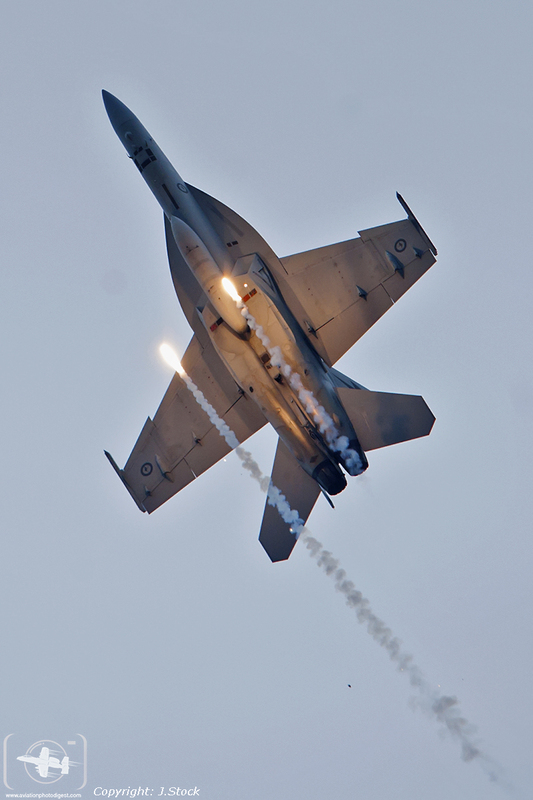 Squadron Leader ‘Greg’, who flew in Iraq, spoke in-depth to APD about how the F/A-18F has matured from a four and a half generation stop gap fighter between the F-111C/G retired in 2010, and the F-35A, to a mature and capable platform that is firming to be a part of the ACG and RAAF’s plans for the future. 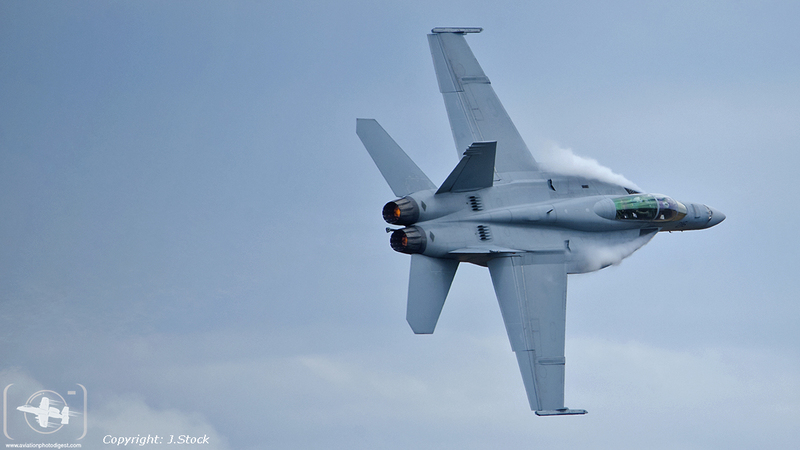 SQNLDR Greg told APD: “The Super Hornet is an unbelievably capable aircraft we specifically wanted to buy as a 4th plus generation fighter off the shelf, with capabilities far beyond that of any other capability we already have. In any fight, the Rhino can give far greater Situation Awareness to other participating platforms such as the Classic Hornet. So to explain, the Rhino has the ability through both on-board and off-board sensors to provide the bigger picture, and through this can help prioritise threats and targeting. That’s not to say the Classic Hornets are not a formidable force on their own, but the Rhino can enhance their successful employment. 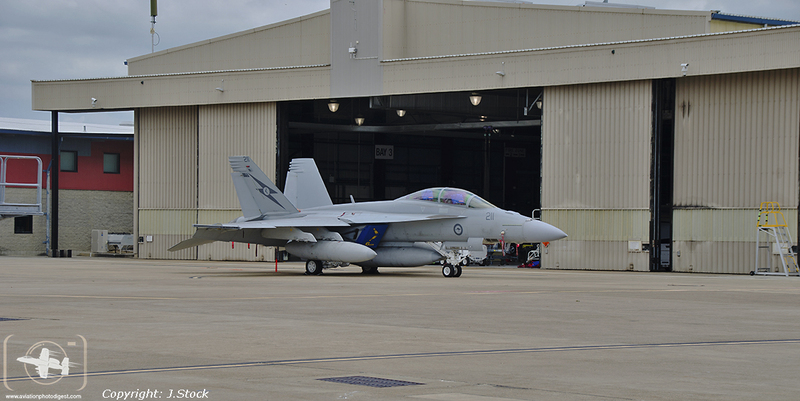 Additionally, as a two-seat/crewed fighter, the WSO in the back seat can at times work autonomously to the pilot. The WSO can continue to manipulate Weapon Sensors and cue target information while the pilot can be conducting Air to Air Refueling (AAR) for example. 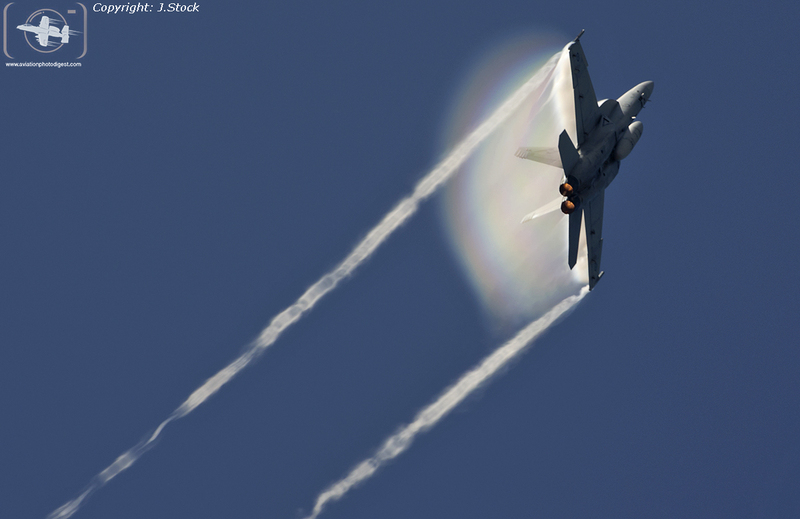 This cuts down off station time and provides efficiencies in the weapons employment chain”. 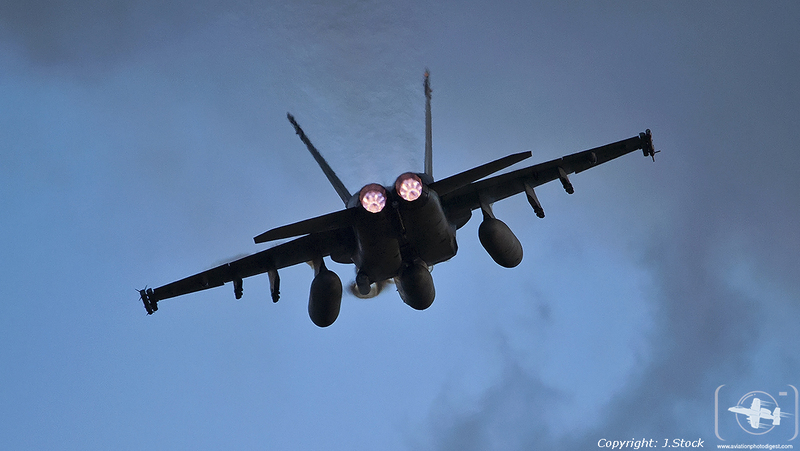 Speaking of the much loved F-111 and comparing it to the Super Hornet, SQNLDR Greg stated: “Well I’ve flown both aircraft, and while the F-111 was extremely quick and had significant payload and range to conduct strike missions, not having an Air to Air radar or Link 16 would have been a major limitation in the MEAO. This, along with the variety of modern weapons available for employment, both air to air and air to ground, make the Rhino a formidable fighter in any wartime environment. The Rhino, is in a pure class of its own. While a fantastic dogfighter, it’s a beautiful aircraft to work with to carry out various multirole missions and that’s what it was designed for”. He goes on, “we have a perfect aircraft for Close Air Support and Ground Attack and at the moment, that is best suited to our needs, we have a 4th plus gen fighter, where everyone else is playing catch up upgrading their fleet of aircraft where we have already a matured, and steady platform. 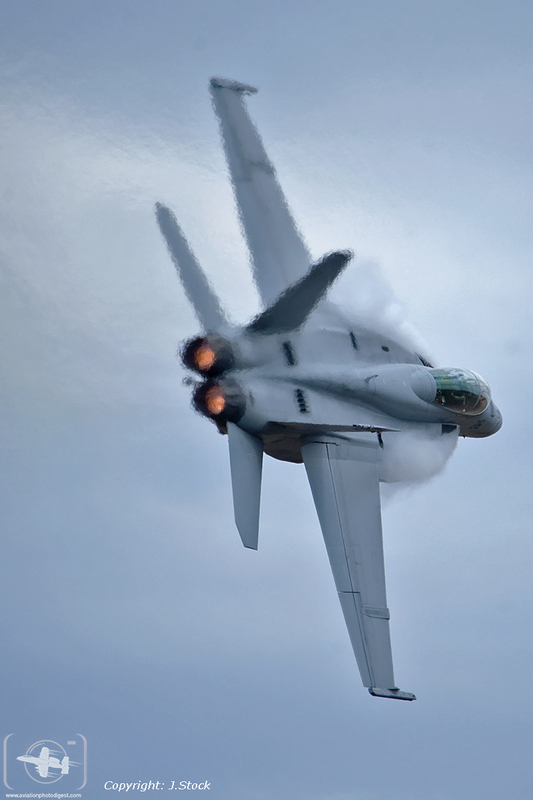 I wouldn’t want to go to the MEAO in any other airframe”. Operation OKRA is a term used for the Australian Defence Force’s (ADF) Air Task Group’s (ATG) and the Special Operations Task Group (SOTG) involvement of the U.S.-led multi-national coalition military intervention against ISIL, with the goal of protecting the people of Iraq. 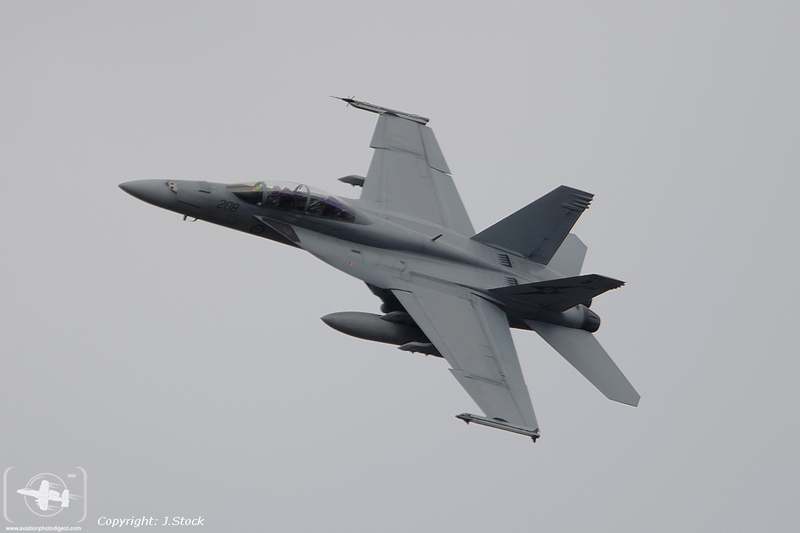 The ATG utilises the F/A-18 Hornet/Super Hornet, E-7A Wedgetail and the KC-30A Multi Role Tanker Transport (MRTT) aircraft. The Government gave 82 Wing a week from the time of the Prime Minister’s announcement, for it to deploy 8 Super Hornets which were supported by several 36SQN C-17A Globemasters and two 33SQN KC-30A tankers from AMG, which were tasked to support and enable the Wings deployment in getting to the Middle East. 400 personnel make up the RAAF’s presence in the MEAO and on September 21, 82 Wing, along with support elements from AMG and one 2SQN E-7A Wedgetail AEW&C aircraft, left from their respective home bases for Al Minhad Air Base in the United Arab Emirates where the RAAF would call home during this opened-ended air campaign. 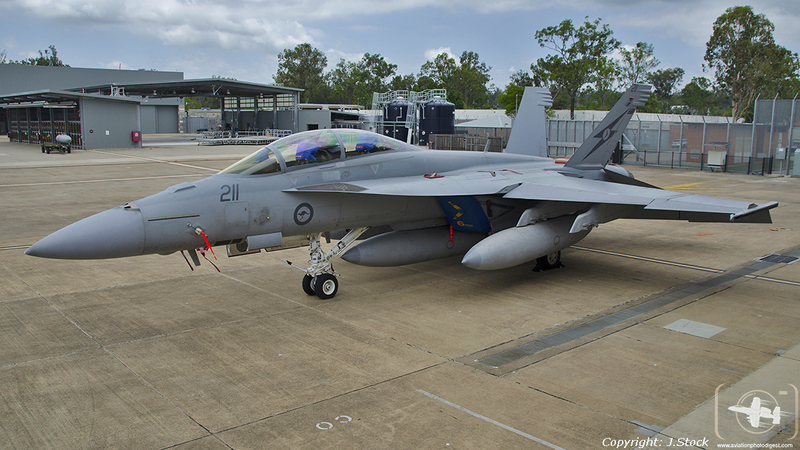 During the initial week, the Wing had to work on getting things ready for the deployment as it was a long time since combat flying operations were conducted by the RAAF (2003) let alone the Wing (1999). SQNLDR Greg elaborated: “where do you start, during that week there were a lot of approvals that the government had to get cleared especially with the Iraqi government for operations within its borders. There were enormous logistical movements we had put in place, this included everything from ordnance to toilet paper. It gave us a great insight on how to do things better in the future. 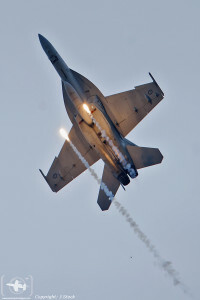 For the Aircrew of the Squadron, by the most part, through the normal weekly train and sustain programs that are part of home base operations, tactically, they were already in a good position to deploy. It was more so the personal admin, medical, dental, weapons, family plans and wills that needed to be sorted out. So there was no real work up as such, but there were a couple training flights in the simulator in Air to Ground currency and MEAO familiarisation. Really the catch up piece for us was the logistics, deployment transit mission planning, as well as simple things like flying suits, could weather gear and maps. While a week was very short notice, it was something that was achievable from our standpoint”. 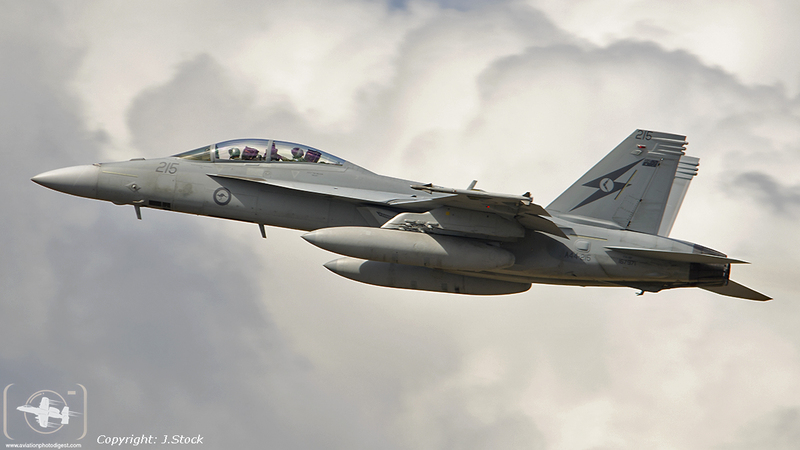 Established for the RAAF’s role in the MEAO was the Air Task Group (ATG). 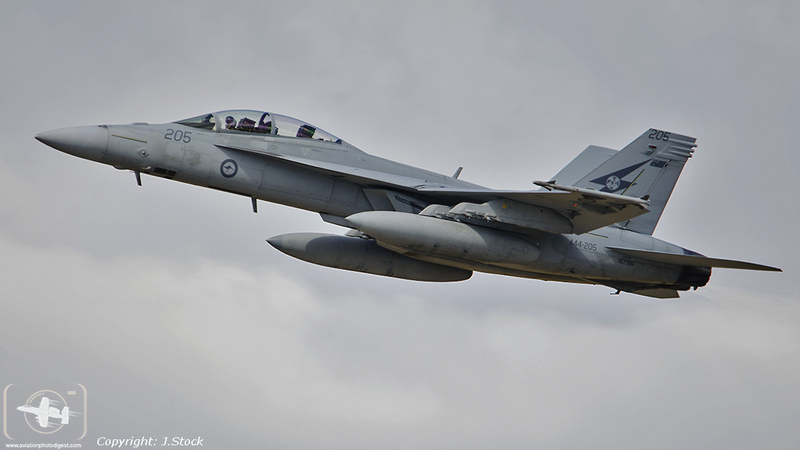 ATG was the Chain of Command that would encompass all of the RAAF assets brought under one singular group to support the broad coalition effort led by the United States and partner nations of systemic air strikes against Islamic State. ATG had already begun operating earlier in August, 2014. AMG 36SQN C-17’s and 37SQN C-130J-30 Hercules aircraft from RAAFB Richmond delivered humanitarian aid to those needing help trapped by ISIS on Mount Sinjar, as well as delivering a number of military stores to Kurdish and Iraqi forces combating Daesh on the ground. After 82 Wing’s arrival to the UAE, the Wing fell under ATG and immediately the men and women got to work in their various roles ready for the time they would be called to action. The first ATG missions for the E-7A and the KC-30A began on October 1st as the two aircraft conducted sorties over Iraq, for the crews of 82 Wing they began familiarisation flights over Iraq that same day. SQNLDR Greg stated that these flights were to get the crews familiar with the area and climate they would be operating in, and furthermore learn how to integrate with local coalition partners. He says, “The first few weeks the crews trained in the local airspace getting used to local operating procedures and local weather conditions. During this time, authority to carry out combat missions as such was still being arranged at the government level”. Until September 14, Combat Missions against ISIS targets had totaled 4 missions, 10 hours and 0 ordnance expended. 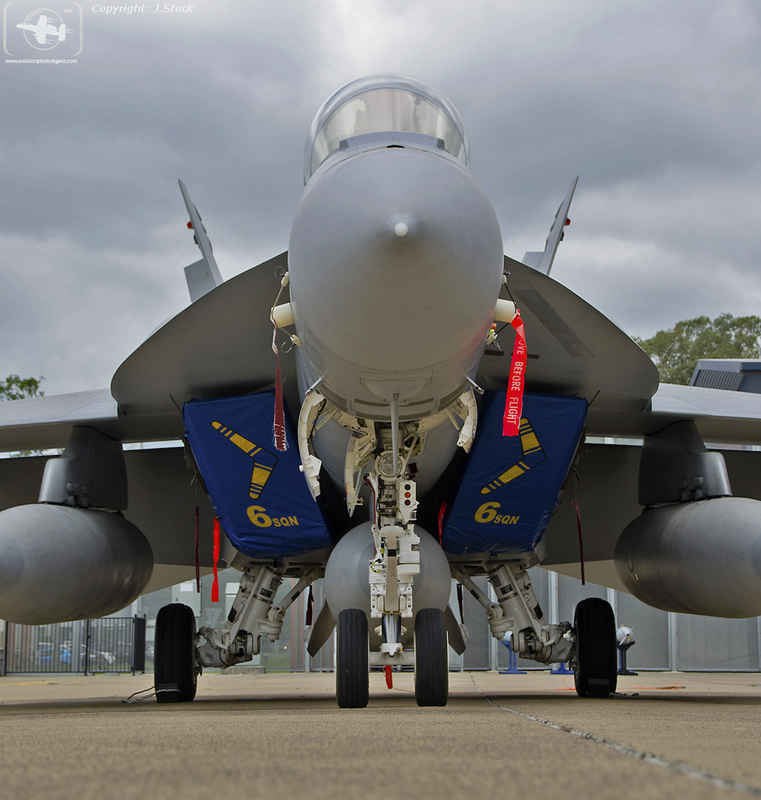 A typical load that the Super Hornet would carry would be three external fuel tanks, carried on station 6 which is the centreline hard point, and stations 4 and 8 which are the inboard stations, with two AIM-9X air to air missiles on stations 1 and 11 (wingtip hard points) also carried was a ATFLIR targeting pod usually carried on the hip station of the aircraft with a AIM-120C AMRAAM air to air missile on the opposite hip station. The Ordnance used on ground targets would usually consist of 2-4 240kg GBU-12 laser guided and GBU-38 GPS guided precision bombs, even though ISIS isn’t considered a threat in the air, the air to air missiles have little effect on drag and thus are a smart insurance policy you would like to have the option of using if needed. It was an interesting time for the crews during this initial period as training turned to operational missions supporting the overall coalition effort. To give an idea of what life was like over there and the tempo of operations, SQNLDR Greg explains that it’s a lot different than first thought of by the crews. “Getting there to the MEAO was exciting initially for all involved because we didn’t know what to expect, you only think of the movies where it’s constant madness and mayhem. But for the aircrews, the flying rate was very sustainable being around 7 missions every 3 weeks roughly, this was to manage fatigue and keep the flying stats even amongst all the aircrew”. Greg added: “The missions were always 8 to 10 hours meaning a 12 hour day including brief and debrief. Although the sorties weren’t physically draining sorties, sitting on an ejection seat and wearing our combat life support took its toll on the body. Round trips were around 4,000 kilometres, so you needed that day off for the backside and the rub points to recover. Initially, you have a lot of anxiety based around that first weapons release, along with that is all this excitement because you want to do your job, what you’ve trained for since walking through the recruitment door, your mission. 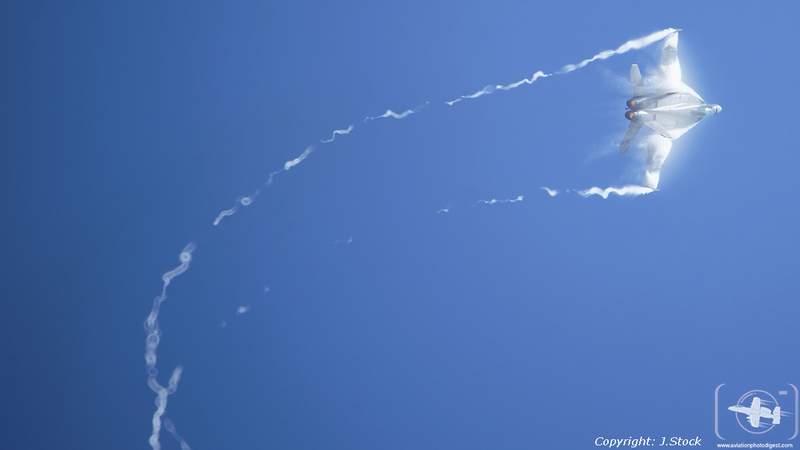 For me I dropped on the first mission and it was a relief to see it impact the designated target”. He goes on, “But we didn’t need to be reminded, really, by our CO’s to keep our enthusiasm up. We would fly everyday if we could, but the sortie rate was based around fatigue management and sustainment for the entire deployment. On the other hand, there was no room for complacency in your preparation and mission execution given these sortie rates. After the first 3 weeks, mission location became very familiar. Flying with the same crews, you couldn’t afford to let your guard down. It is not the place where you want things to go horribly wrong and not be prepared for it. So, you had to have a mentality of ‘well I’m going to learn something different on this mission today either about the war, or how to interact with it or even something new about the aircraft how it performs in certain parameters’. You’d be on station for around four hours during a mission receiving fuel from the KC-30 or other coalition assets around 6-7 times, during that period. This meant about 2 to 3 hours that we’d be doing our bit supporting those on the ground”. “Sometimes we would get intelligence suggesting that weapons employment was likely and we’d be cleaning the jet off, only to arrive over the area of Operations where things would just not go our way and have to hand the target area off to other coalition platforms. 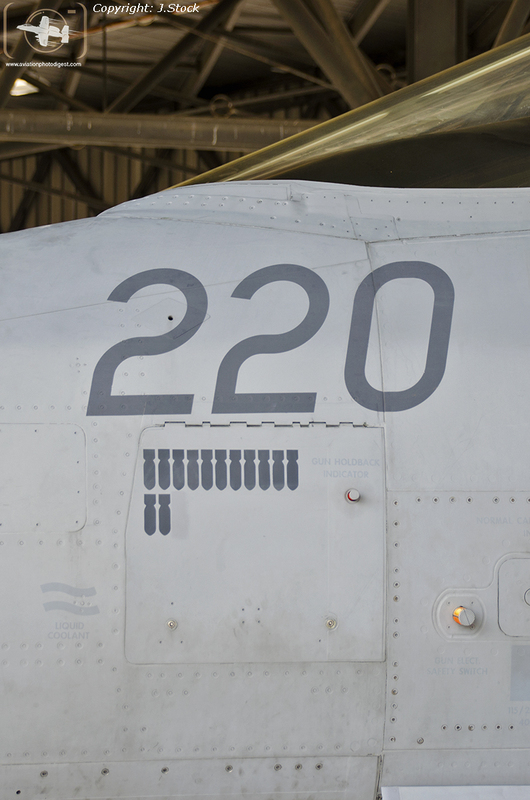 We really couldn’t pick the days in which we knew we would be destroying ISIS targets. The environment would always change so we would constantly be filtering information provided by our command and control crews”, Greg added. 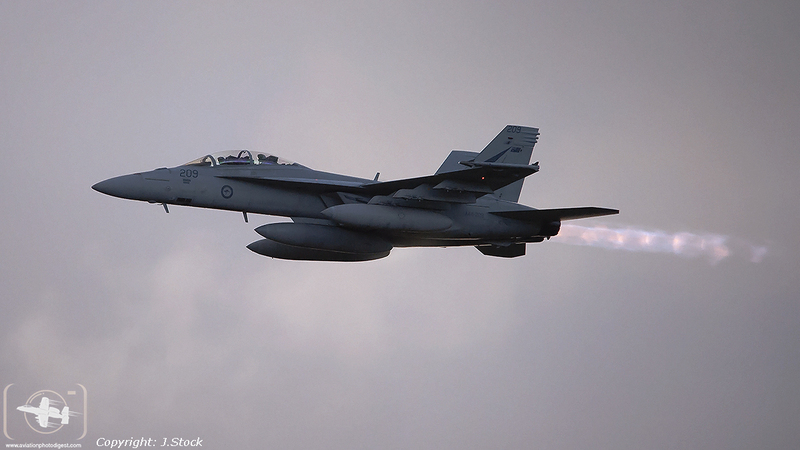 Between all the coalition Air Forces partaking in strikes, a well-oiled and integrated workforce is in place. Unmanned Aerial Vehicles (UAV) are in the thick of it providing real-time surveillance to Commanders. In addition, they are supported by the command and control piece from aircraft such as the E-7 Wedgetail, and USAF/ RAF E-3 Sentrys which are all on station longer than the combat element of the ATG. 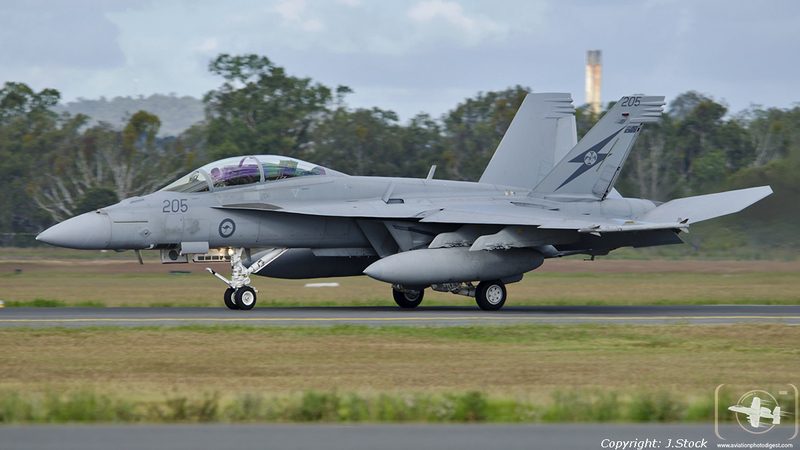 The Aussie F/A-18’s at times would play a “tag-team” role with coalition fighter jets that had completed their loiter time and were in the process of returning to base. The aircrews would then be informed by the command and control element of the current lists of targets acquired. The aircrews of ATG would then be tasked to carry out those assignments given by the AEW&C crews. But things were difficult to deal with for the crews. For instance, there was a big line drawn on maps by the commanders which separated the two different airspaces between that of the war zone and also that of commercial traffic. 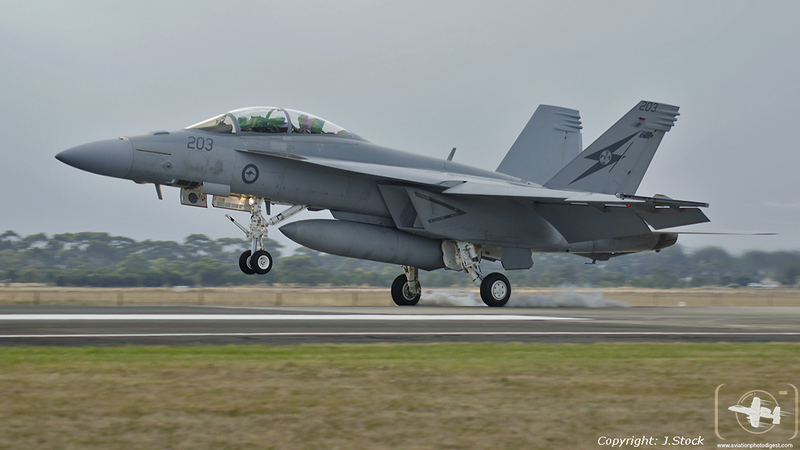 SQNLDR Greg states, “We had to rely on our own radar or that of AEW & C for deconfliction. There was some interpretation issues with Iraqi air traffic controllers which always slowed us down either getting to the tankers or back to our operating area. Mix this in with night operations, bad frontal weather including thunderstorms, dust storms and icing conditions, not to mention a ground threat, it made it difficult at times. Although our role seems straight forward and simple in an air to ground role, lots of risks still need to be negotiated to get home safely”. Two rotations of crews were used by ATG for the six month period. So, after the first three months, in December, the second rotation of pilots and WSO’s took over while the first rotation headed home. This enabled all of 1 Sqn aircrew to deploy and gain combat experience and to maintain proficiency in other aspects of combat flying such as Air to Air operations. So Commanders deemed it necessary that rotation system was in place, so crews would be pooled initially from 1 SQN and supplemented from 6 SQN where necessary. 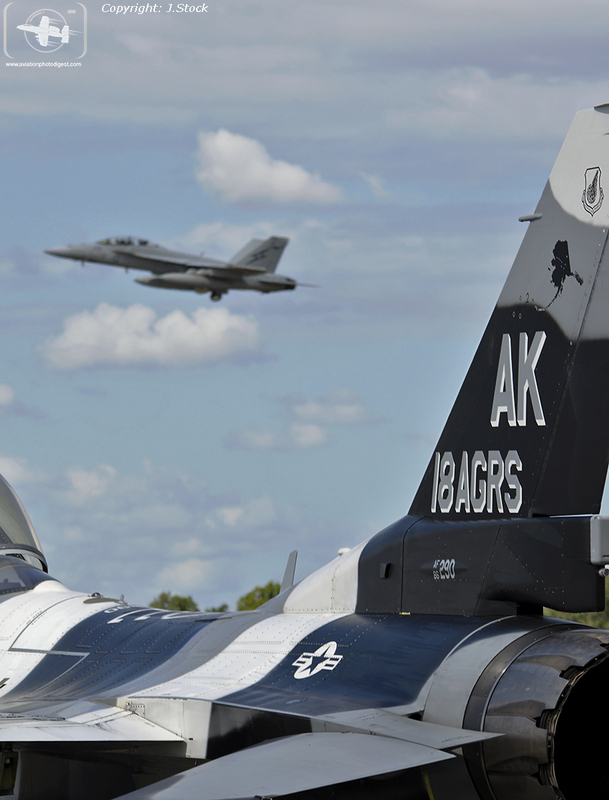 After 7 months, with 2 rotations of personnel, a total of 418 combat missions flown by 82 Wing consisting of 3361 hours flown and 278 munitions expended. 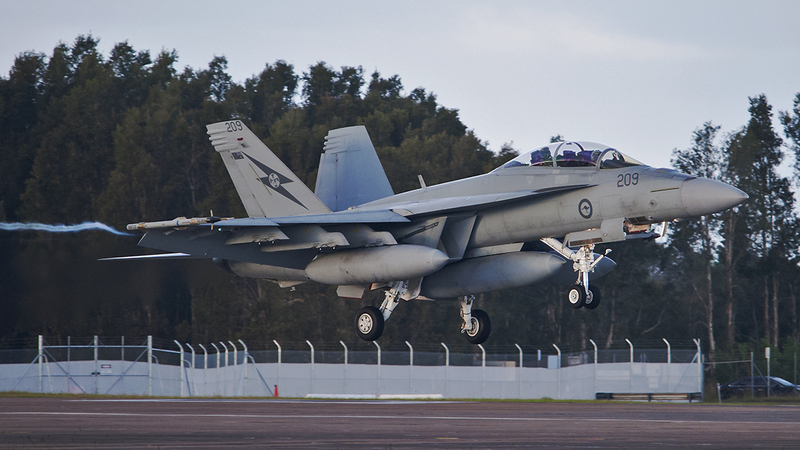 During March 2015, 82 Wing handed over the reign of Combat Missions to 75SQN equipped with F/A-18A Classic Hornets from RAAF Base Tindal which are under 81 Wing Following a comprehensive handover process that saw the two Squadrons operate simultaneously for a brief period. 82 Wing had completed their role in true Aussie spirit, everyone had pulled together to complete their work when assigned. That mentality is indoctrinated in the training received by 82 Wing crews thus a 100% safety record is intact for the OKRA deployment and that in the end is what the commanders and crew want, not to mention loved ones of those deployed hoping for a safe return. The crews both the first rotation and second rotation enjoyed that special moment where they got to see their loved ones again after a long time. It was a special moment that only a military family or families with military personnel can relate to. Knowing that their son, daughter, wife, husband, sister, brother, or mum and dad was back on home soil…well we don’t need to explain that feeling, you have probably experienced it or could imagine it for yourself…it was a moment everyone cherishes. The deployment to Iraq for the crews of 82 Wing was a mission that everyone associated with it, will always look back on in the future with a sense of pride. Being deployed for a period time also has challenges that not only the military personnel face. During that time period their families back home are dealing with the fact their loved ones are overseas and especially for children, it can be really hard to understand as well as the workload that is placed on the parent that is looking after them. Life goes on back home there are pressures from all sides in life and things happen that sometimes the circumstances are tragic that military families deal with. This is where the public in this case the Australian public need to stop, take a little time out of their lives to remember those that enable them to enjoy the lifestyles they live, and give recognition and support to those that serve. The workloads that are associated with being a fighter jet pilot are intense, for us we need to think about the job they love doing. In essence it’s a job of protecting…. a champion of freedom. A Champion is someone that has the capability to step up and take on a responsibility that enables him to stand up for people who are being oppressed! That is the definition of a champion, have we given thought to these serving men and women as champions? Do we stop them in the middle of the street and just say a quick thank you? Thank them for their courage? Thank them for their endurance spending time away from their family so we can enjoy time with ours? On days we celebrate those that have died for people’s liberties do we celebrate those who are giving their time and putting their life on the line for their fellow man or woman? It’s easy to think about the politics in any situation. As the saying goes, where there are people there is politics but we as a society have to support those who are supporting freedom it’s what makes us human. It sets us apart from those organisations that would inspire fear and hatred between us. 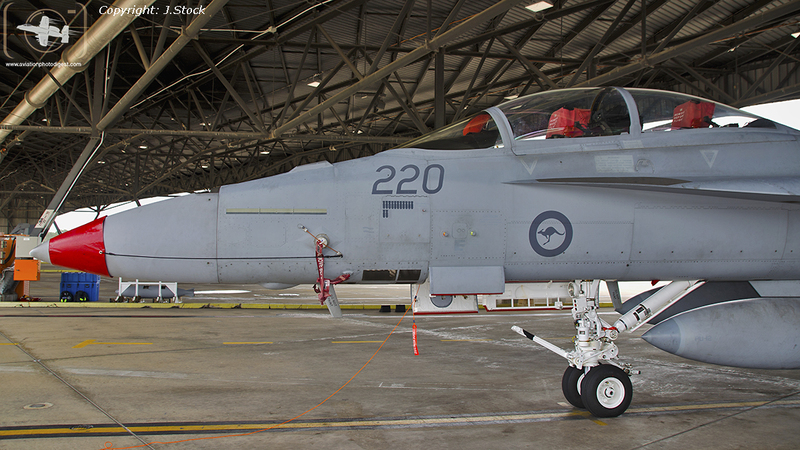 APD had a special opportunity of speaking to Air Commodore (AIRCDRE) Stephen ‘Zed’ Roberton, who, before taking on the role of Commanding Officer of ACG in March 2015, was tasked as the inaugural Commander of Air Task Group 630 when the Super Hornets and crews of 82 Wing had been on deployment to the MEAO. 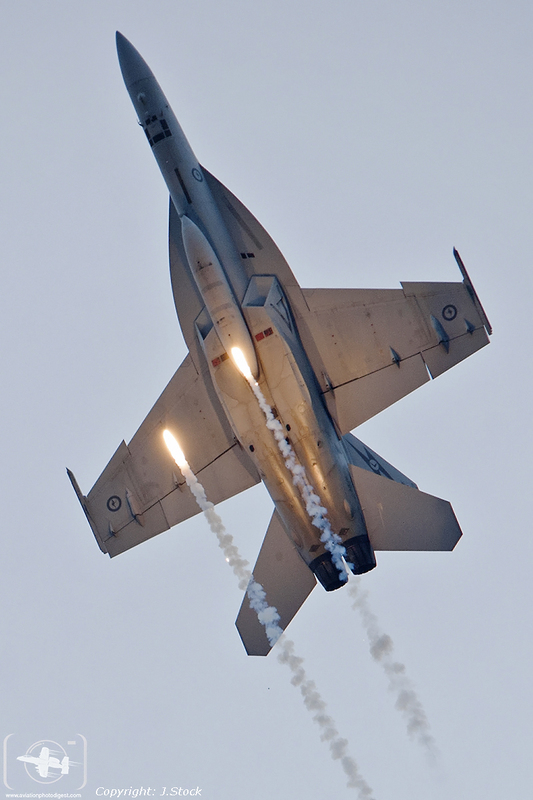 AIRCDRE Roberton was also the commander who introduced the Super Hornet into RAAF service as Commanding Officer of 82 Wing. AIRCDRE Roberton couldn’t speak more glowingly and conveyed a real feeling of pride he has not only in the men and women of ACG as a whole but in particular those crews of 82 Wing that deployed to the Middle East. He says, “I’m incredibly proud of the women and men of the Air Task Group – but especially those who maintained, supported, administered and flew the strike fighters. 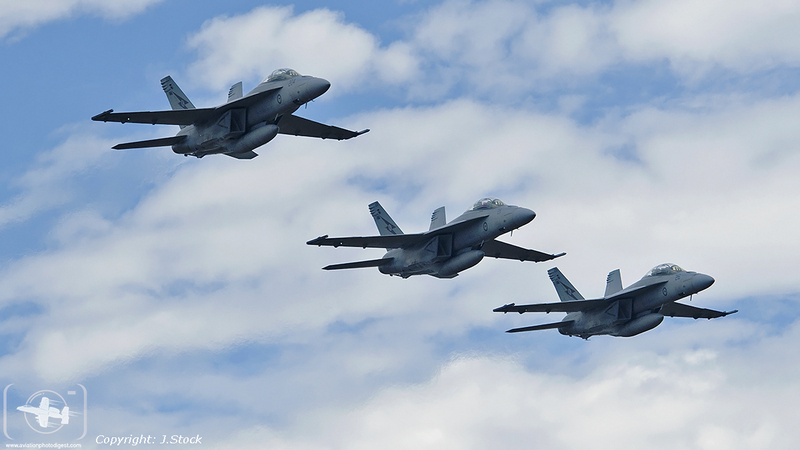 Only a few of us get to sit in the cockpit, but air combat is a team sport. It relies heavily on a whole organisation’s professionalism and 1SQN, 82WG and ACG delivered to their very great credit”. Those words from the Commanding Officer that is leading his team from the front, show what the men and women on this deployment meant to him personally. The trials that each one, in their own way, went through for whatever reason shows the amount of respect that should be afforded to these defence personnel. This article is written to give you the reader and members of the public a fair amount of respect for those that serve. Giving insight into what actually goes on when your defence force is tasked by their respective governments to meet the objectives set. Living in a world which sometimes is surrounded by darkness, ones that shine forth radiantly are those standing watch, those at the fore, those who have completed their training eagerly awaiting their next challenge as protectors, as Champions! The men and Women of 82 Wing are members of that group and the roles undertaken to stem the tide of barbaric terrorism are testament to that fact. The Wing’s motto is find and destroy. This was their primary aim in the MEAO… always seeking always searching and finding their targets. It’s an ongoing process that is leaving big shoes for those of 75SQN to fill, members of 1 and 6 Squadron have fulfilled their oath to protect you, and will gladly jump at the chance to leave their loved ones behind and deploy all over again. And the Men and Women of 82 Wing. Without your work and tiresome efforts plus your support we couldn’t have written this article without you, we sincerely thank you.